Importance of Photo Color Correction Service for Photographers. What is Photo Color Correction Service? Photo Color Correction Service is one of the most important parts of photo editing services. This is a very helpful technique for the photo editors to make the color of a photo perfect. This is also use for changing the color of a photo. Adobe Photoshop is commonly used software for photo color correction. Why Do We Need Color Correction Service for Our Photography? Actually, Photo color correction service is the way which significantly enhances the color of a photo. Applying this photo editing technique any ordinary photo can have a high-quality and extraordinary look which easily draw attention of the viewers. Suppose, you have taken a photo in charming area or a historical place and you want to share that photo with your friends through social media. Now you are feeling exiting and ready to share it. At this time you just notice that the color of the photo is not perfect as you want to show or the color is faded for the camera setting or bad weather. There is no option to get the photo again as a result, you need photo color correction. In case of product photo editing, color correction helps for create multiple color image of single photo. Additionally, Photoshop color correction service helps the above photography professionals to regain the original color and sometimes creates extra color effects. 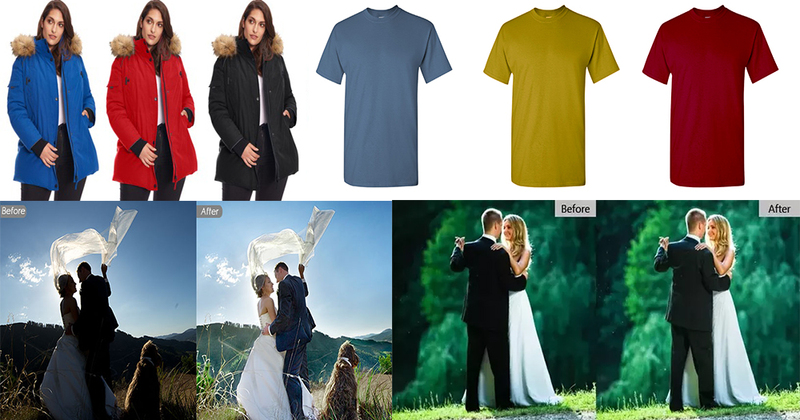 If you are looking for a professional photo editing service and color correction service provide company then Clipping Solutions is ready to assist your photo editing needs. Just have look on our showcase to have the idea about our service and give a free trial to judge the quality of our service. Hope you we can satisfy you.